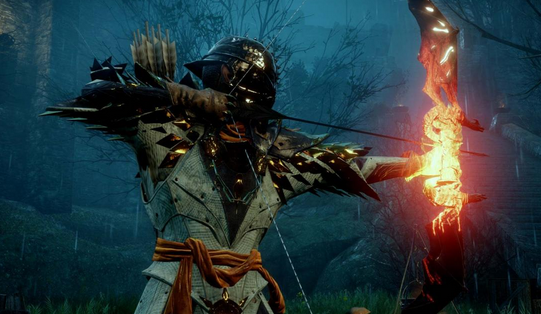 Dragon Age: Inquisition was released on November 18th 2014, and since the release it has exploded in popularity. Developer BioWare has announced two expansions, one free and the other paid. The paid DLC will be available for $9.99 on all platforms along with the free DLC. 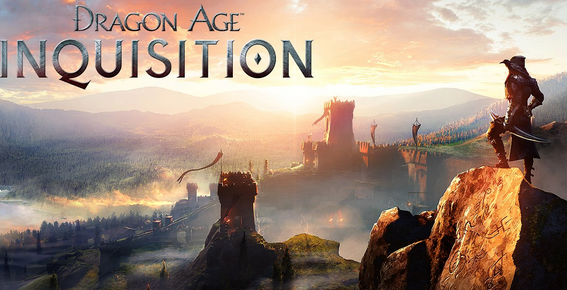 BioWare announced on the official Dragon Age website that the free DLC will be called "Destruction." Dragon Age Inquisition has made over $1.1 million and sold over five hundred thousand copies in the United States alone. The game has won several awards including The Game Award for Best Role Playing Game and The Game Award for Game Of The Year and has done very well in reviews. BioWare's most recent action RPG gives players an exciting story and also gives users a new form of responsibility. You find yourselves in a land called Thedas. Dragons hover above in the cloudy sky, causing uncontrolled chaos throughout Thedas. With your allies you must take on the task to end the disorder, as you explore the lands and battle dragons in the middle of utter chaos. It is your responsibility to establish bonds with other powerful leaders to assist you in battle. BioWare stated on the official Dragon Age website that the Destruction DLC will include several new paths to existing destinations, with creatures lurking around the battlefields ready to attack friends and enemies at any given moment. BioWare says to expect even more chaos on the battlefields. Owners of the "Inquisitor's Edition" Online Deluxe version will not have to worry about purchasing the new DLC, as they will get the new content free of charge. Along with the announcement, BioWare added that the paid DLC will be called the "Deluxe Upgrade" and that it basically contains what all the upgrades from the Digital Deluxe version. BioWare went into further detail explaining the features coming with Destruction. The Skyhold throne will not only show players at your skill level but also explain your place of honor and bravery. The Red Hart Halla is a beast that will help you find your way through Thedas. The best feature that comes with the DLC would be the multi-class weapons system. Players now have an opportunity to destroy their enemies with dagger, sword or the war hammer. These new weapons will make ending your enemies lives much easier. All additions can be found below. The new DLC will available for purchase on both the Xbox 360 and Xbox One along with the Playstation 3 and Playstation 4. PC users will also have the opportunity to install the newest content once it is available on the Origin store. Alright Dragon Age fans, what are your thoughts and opinions? Will you be purchasing the DLC or do you think that it is unnecessary?